Fletcher Jones Motorcars of Fremont presents this 2016 Mercedes-Benz C-Class C 300 Luxury. BENEFITS: There are many benefits to becoming a Fletcher Jones Owner. Complimentary services include car washes, Porsche courtesy vehicles for extended repairs, complimentary pick up and delivery, complimentary maintenance and much more. ABOUT US: Porsche Fremont is located at 5740 Cushing Parkway, in beautiful Fremont, California. As an authorized Porsche dealer, we offer one of the largest new and pre-owned inventories in the bay area. We likely have the vehicle you’ve been searching for, or contact us to find an exact configuration. Experience the Fletcher Jones Difference today! Fletcher Jones Motorcars of Fremont presents this 2016 Mercedes-Benz C-Class C 300. BENEFITS: There are many benefits to becoming a Fletcher Jones Owner. Complimentary services include car washes, Mercedes-Benz courtesy vehicles for extended repairs, complimentary pick up and delivery, multi point vehicle inspections and much more. 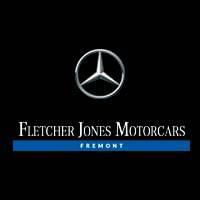 ABOUT US: Fletcher Jones Motorcars of Fremont is located at 5760 Cushing Parkway, in beautiful Fremont, California. As an authorized Mercedes-Benz dealer, we offer one of the largest new and pre-owned inventories in the bay area. We likely have the vehicle you’ve been searching for, or contact us to find an exact configuration. Experience the Fletcher Jones Difference today! Fletcher Jones Motorcars of Fremont presents this 2017 Mercedes-Benz C-Class C 300 Sedan. BENEFITS: There are many benefits to becoming a Fletcher Jones Owner. Complimentary services include car washes, Mercedes-Benz courtesy vehicles for extended repairs, complimentary pick up and delivery, multi point vehicle inspections and much more. ABOUT US: Fletcher Jones Motorcars of Fremont is located at 5760 Cushing Parkway, in beautiful Fremont, California. As an authorized Mercedes-Benz dealer, we offer one of the largest new and pre-owned inventories in the bay area. We likely have the vehicle you’ve been searching for, or contact us to find an exact configuration. Experience the Fletcher Jones Difference today! Looking for a Fremont used car dealership? Fletcher Jones Motorcars of Fremont is your one-stop-shop near Newark and Milpitas! Our inventory includes used and CPO Mercedes-Benz vehicles, as well as models from other makes like BMW, Lexus, and Porsche. We’re always offering pre-owned vehicle specials, making it easier for Union City and Santa Clara shoppers to get the car they want at a great rate. There are plenty of reasons! In addition to a lower price and available CPO benefits, buying used is a smart way to lower insurance costs, slow depreciation, and get the most variety for your money. So, whether you want a CPO C-Class or something simple for cruising around Alameda, we can help you find it! See a vehicle above you like? Schedule a test drive today! If you’re ready, feel free to apply for financing online—and we’ll be in touch.